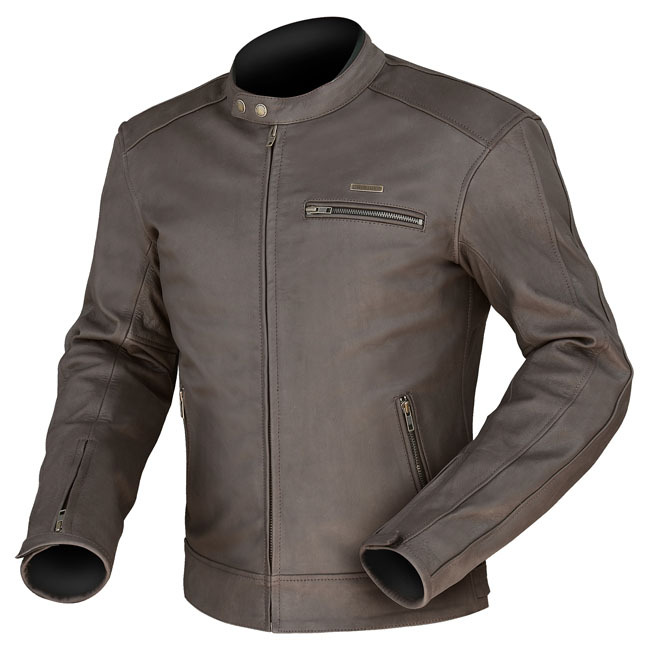 Luxury Leather jacket in Antique Brown. Artisan tanning treatment gives the leather a luxury supple feel & unique look that only gets better with age. Metal logo badge & brass colour zips highlight the vintage style.